Is There Anything Hugh Jackman Can’t Do? What will Hugh Jackman be remembered for: Serious dramatic actor? Song and dance man? Voice-over artist? Wolverine? Loving husband and one of the nicest people in the business? Seems like it’s going to be all of them. Jackman was brought-up in the Australian acting and stage theater scene. But in coming to America, his big break was in a superhero movie, something rare in the year 2000. He played the Wolverine/Logan character in various “X-Men” movies for 17 years. 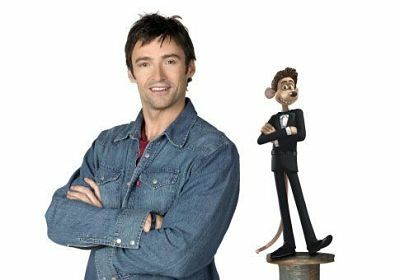 During that time, Jackman branched-off into doing “The Boy from Oz” on Broadway, which earned him a Tony Award the same year he hosted that ceremony. He also lent his voice to two big animated movies released two weeks apart in 2006: “Flushed Away” and “Happy Feet”. And then in 2012 – another animated movie (“Rise of the Guardians”), followed by the film version of “Les Miserables”. The role of Jean Valjean gave moviegoers and critics a new perspective on what Jackman could do. Yes, this was a musical role, but it still showed so much drama, anger, tenacity and command – enough to win him a Golden Globe and earn an Oscar nomination. Then came some more Wolverine appearances before the “Logan” swan song last year. Then everyone wondered: How will Jackman be able to solidify a cinematic second act? “The Greatest Showman” quickly, and unexpectedly, became that answer. A holiday box office powerhouse, a soundtrack still raging on the charts… and another Golden Globe nomination. Suddenly, as 50-year-old Jackman recently explained to NBC’s Willie Geist, a whole new, younger generation of fans (and their parents) were coming-up to him asking about the world of P.T. Barnum. “It has been beyond any expectation I ever had,” he said. Less than a month ago, Jackman’s first film since “Showman”, the political drama “The Front Runner”, opened to mixed reviews and dangerously low box office numbers for Sony. 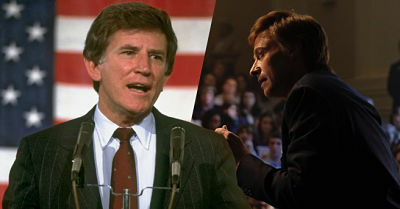 But while this look at the Gary Hart story didn’t receive “Les Mis”-type praise from critics, Jackman still got some of the best praise of his film career nearly across the board. So it looks like Jackman’s pals at the Hollywood Foreign Press Association could be nominating him again this Thursday. But amidst this, Jackman has just announced he will be headlining a one-man stage show arena world tour. It kicks off in May in London, and he’ll stop in big market U.S. cities from mid-June through July. 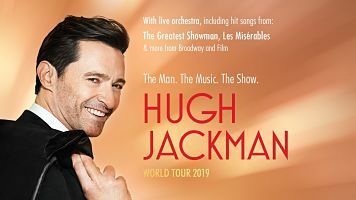 Jackman will sing hits from “Oz”, “Les Mis” and “Showman” (with a 26-piece orchestra), tell stories, and pack-in plenty of surprises. He told the “Today” gang while making the announcement: “It’s a dream come true”. It’s a cool concept, and certainly rare for someone who’s been nominated for the Best Actor Academy Award. But why only two months? Because he has to promote yet another animated film he’s in (Laika’s “Missing Link”) before the tour begins. [The film opens April 12]. And then, a movie he’s already shot, “Bad Education” with Allison Janney, will likely be released next Fall. And it could once again get him back in the awards conversation. “I’m on the back nine of my life now,” Jackman also said on “Today”, “and this [show] is about the front nine… the best parts of the front nine.” It’s certainly been quite a front nine. As for the back nine, it seems like Jackman will continue to dabble in a little bit of everything… and with a “golden” reputation, pull it all off with ease.